Every day, our staff works toward a singular vision: a world where the tax code doesn’t stand in the way of success. We believe that an ideal tax code follows the principles of sound policy: simplicity, neutrality, transparency, and stability. Do You Believe in Improving Lives Through Tax Policy? Help us educate taxpayers, lawmakers, and the media about the importance of smart, pro-growth tax policy. Support our in-depth analysis and join us in crafting tax policies that will improve lives for generations to come. Tax reform isn’t just about growing the economy, or raising revenue; it’s about making people better off. That’s why we’re so passionate about our mission: to lead the tax reform debate toward smarter, simpler policy. Our state tax policy team achieves this through a proven process of ranking states on our State Business Tax Climate Index, educating legislators, businesses, and taxpayers with our chart book program, and providing detailed, personalized, and common sense options to states that are ripe for reform. Every year, our team is on the ground in more than 30 states, testifying, presenting, and working closely with governors, key policymakers, and business leaders to craft the best tax policies for each state. Our accessibility extends to news outlets large and small across the country, answering reporters’ questions on the new horizons we help states explore. Our federal tax policy team produces timely data, research, and analysis to educate Congress and politicians across the country about the short- and long-term impact of tax reform policies they might be planning. Our team also analyzes recent legislation and tax data to educate taxpayers and better inform the tax reform debate. In the last few years, we’ve worked closely with nearly every presidential candidate and leaders in Congress to develop tax policies that create jobs, raise wages, and grow the economy. Our Center for Economic Analysis takes a quantitative approach to analyzing federal tax policies and proposals using our Taxes and Growth (TAG) macroeconomic model. Since 2015, the TAG model has been used to analyze dozens of legislative and campaign tax proposals, including every major tax plan put forth during the 2016 presidential campaigns, the House GOP’s 2016 Tax Reform Blueprint, and the Tax Cuts and Jobs Act. Our global tax policy team publishes data and research on the tax codes of countries around the world and works directly with policy professionals and legislators in those countries to educate them about options for tax reform. In addition to several comparative studies, we publish the International Tax Competitiveness Index annually, which ranks the structure of each country’s tax code in the OECD. Our legal reform team works with leading experts to develop pro-growth ideas in tax law, educates the legal community and public about taxpayer protections, and advocates that judicial and legislative decisions on tax law promote the principles of sound tax policy. Since its founding in 2005, our team has filed briefs before the U.S. Supreme Court and lower courts in eight states. Our victories include invalidation of a $300 million tax in northern Virginia, a successful challenge to a “tax on a tax” in San Diego, and avoidance of a judicial takeover of state education funding in Indiana. As well as guiding today’s lawmakers, we’re also cultivating our country’s next generation of leaders. 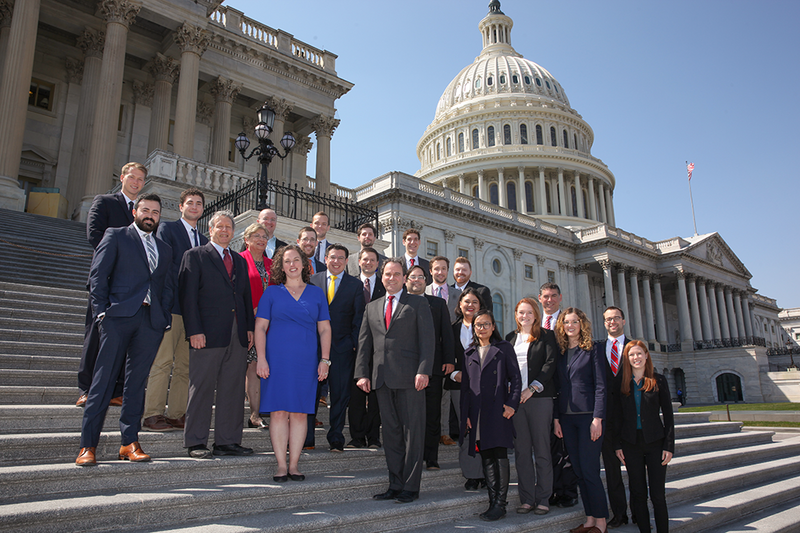 Every summer, hundreds of congressional staffers join us to learn about the basics of economics and tax policy at Tax Foundation University, and throughout the year we mentor tomorrow’s tax policy experts through our internship and clerkship programs.